The need to add numbers to rows and/or columns in such a report arises often. You can do it using program code on the Code page (see fig. 1). 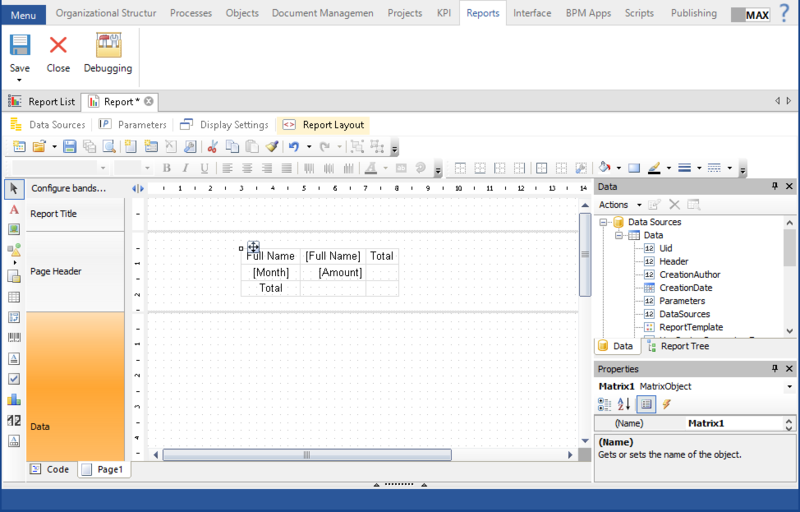 Open the Report Layout tab and add a Matrix component to the Page Header line. To do so, in the left panel click on the Matrix object, then mouse over the Page Header line and click again. To learn more about the Report Layout tab, read Help. – adding a matrix to the report. Move the Full Name, month and number fields to the matrix from the Data panel. 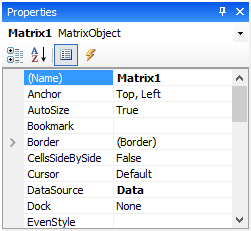 After adding the code, go to the Matrix object in the report. 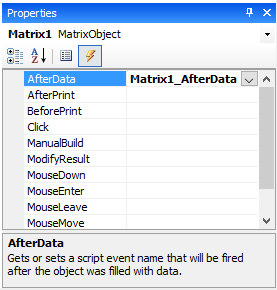 In the AfterData event select the Matrix_AfterData method. This way you will set the handler for the event after getting data in the Matrix object. As the result, an additional row with numeration will be added.